Wuollet is a local bakery chain with six locations around the Twin Cities area. I’ve been there a couple times in the past and primarily remembered their chocolate dipped macaroons. My most recent visit to the shop was spurred by the fact that a friend bought a Groupon deal for the store. Even though I didn’t get anything, I can give a general report of the selection. 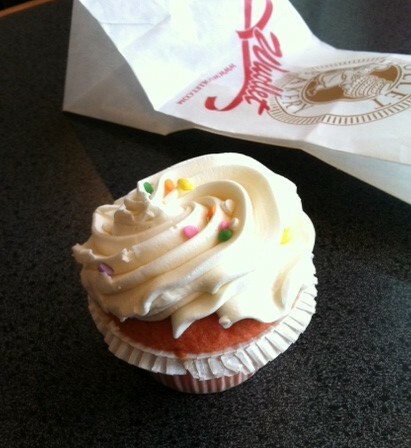 It looked adorable and tasted – I was assured – delicious. If you are a cupcake or traditional cookie lover, I would say to go here. For myself, I think I’ll stick with the desserts at Cafe Latte. 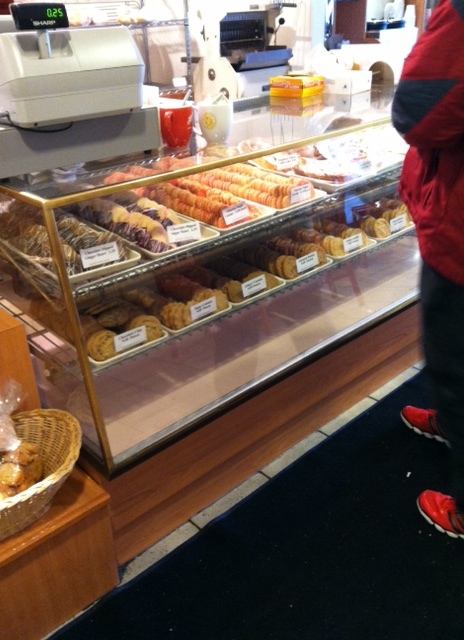 Have you tried Angel Food Bakery in Downtown Minneapolis, right next to Hell’s Kitchen? Sort of an up and down between products, but the ones that are good are REALLY good, and they make some fun, unique non-traditional flavors. I’ve looked in the window on my way to Hell’s and been intrigued, but never actually tried it. I will put it on my list – thanks for the suggestion!